Apps are a part of our technology now. They are certainly here to stay. More than 700,000 apps are found on Google PlayStore and compatible with Android smartphones. So what can apps do for your email marketing campaign? Actually quite a lot, if you consider having a business app. A business app will not work for every small business and website out there. However, if you have an app or have a good idea for an app you might be able to use this niche option to gain more emails for your list. Take a look at how it works. The first thing you need to do is have an app that will help your business. It might be something that is in some way related to your company. Perhaps you sell pet food, so you have a virtual app that reminds users of when they need to pick up pet food, buy litter, and take care of their pet. It is set for a niche market and often found on your site, in the store, and marketed through your social media. You offer the app for free on Apple iTunes or the PlayStore. All apps request a little registration information. The degree of information required will vary. For some apps it is simply a name with an email. Others require just an email. 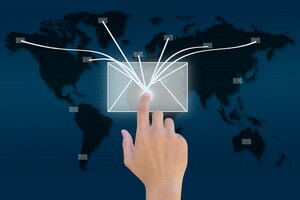 You should be getting the picture on how technology is about to help your email campaign. The minute someone has registered for your app with an email address they have given you a way to contact them. The app is actually a tool to get what you really want. You want to keep in contact with your users. For free you have just given the person an app. You are also gaining money from the app with in app purchases like the ability to buy litter and cat food while in the app. You also have advertisements that indicate other products relating to cats or information sites where people can find out about cats and other pets. You make money by hosting these ads for other companies. You also gained the users email address. There are three benefits to the technology that have provided you with new methods to gain emails. Now you have an email list from app users. You can tell them about app updates, products you added to your store, as well as discounts you are going to offer. You have an email that you can send coupons, newsletters, and other important information to. Basically what you have managed to do is tap into a different type of consumer and still use their email all by using a growing technology. It is not the perfect solution for every business. As mentioned there have to be certain reasons to have an app and it takes money to develop the app. Since you are not making money from the app, this means you need to make it through the methods mentioned. It is a process that may work for you and may not. The only reason to mention it as part of technology and emailing clients is to show you how thinking outside the box can truly help you gain more business. If this technology concept is not going to work for you, is there something that will. Email has been around a long time and remains one of the top ways to market for businesses. There is a reason for that. Finding new ways to gain access to emails for organically created lists is essential. Sometimes you run dry on other marketing efforts. Occasionally you lose email addresses due to unsubscribing, which boils down to needing new methods to gain more addresses without spamming and buying lists that will not help you. An app might be the help you need.